Bastogne was brutal on Easy Company. They were undersupplied, outmanned, surrounded by the enemy, and freezing cold. It’s a wonder any of them survived, yet they did – thanks in part to their fighting spirit and the help of medics like Eugene Roe. 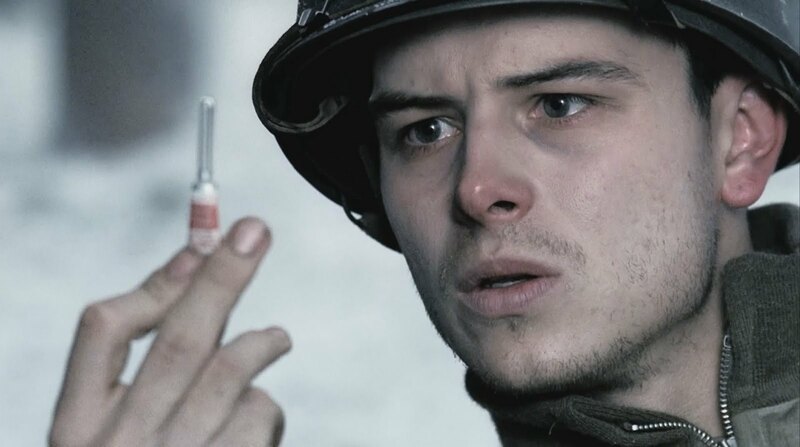 We follow Eugene through episode 6 as he scrounges for medical supplies, checks in on ailing men, pulls the wounded from the front lines, and makes repeated trips to the hospital. As the battle wages on, you can see it’s taking a toll on him – physically, emotionally, mentally, and spiritually. War is, as they say, hell. Yet Eugene perseveres. And that’s our word for this one: PERSEVERANCE. The Christian life requires perseverance. God calls us to certain things, and those things are usually met with resistance. When the journey gets hard, it’s easy to give up. But the heroes of the faith are the ones who endure until the end. Sure, they stumble and fall, but they get back up and keep moving forward. They have their eyes on the prize and Christ as their strength. Like Eugene, they just keep going. Where do you need to persevere right now? Look at the verses again, and consider placing them somewhere you can see them every day. And remember, you’re not made to go it alone. Enlist the help of some fellow believers who can be your band of brothers.